In today's world, speed is everything. 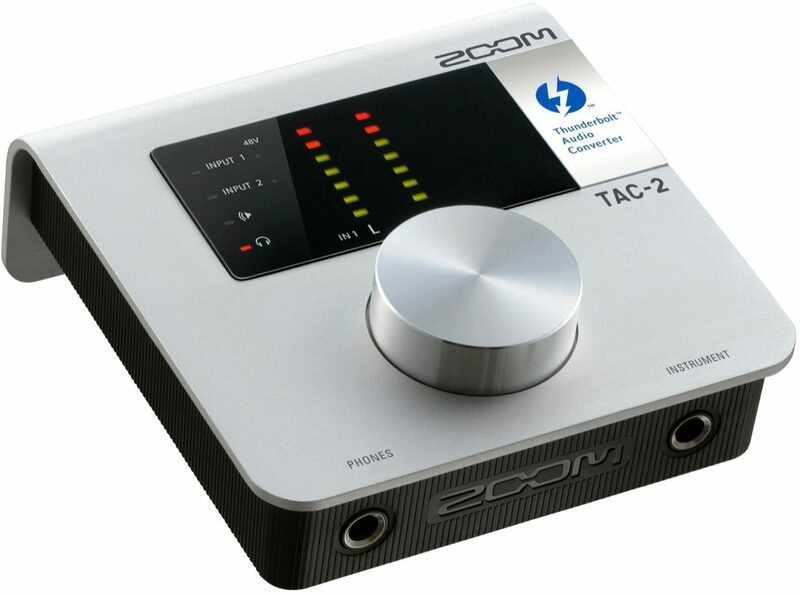 The blazingly fast Zoom TAC-2 interface uses Thunderbolt technology for ultra-low latency and the ultimate in high-quality audio, up to 24-bit/192kHz. 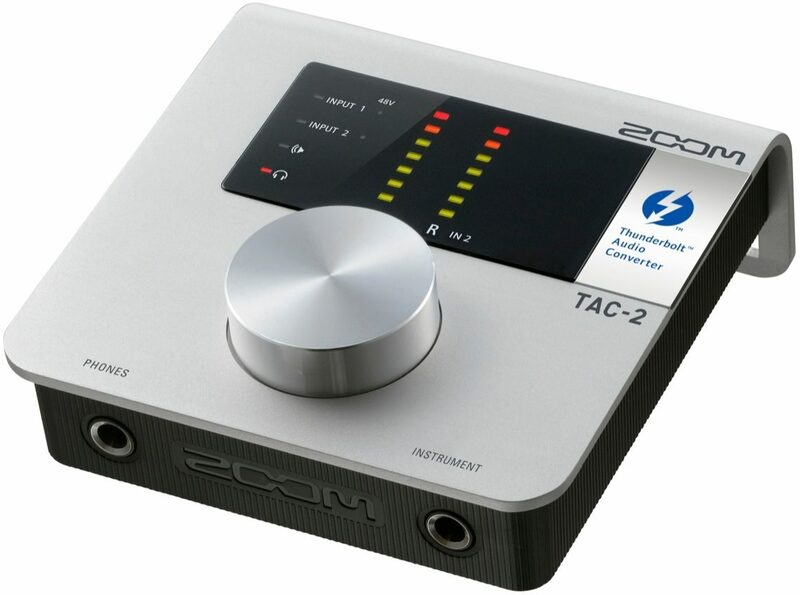 Lightweight and portable, the TAC-2 is also easy to use, with a single large rotary knob controlling all parameters. More than twice as fast as USB 3.0 -- not to mention twenty times faster than USB 2.0 and twelve times faster than Firewire 800 -- Thunderbolt is the interconnection technology of the future. Co-developed by Apple and Intel Labs, it allows signal to be transferred at an incredibly fast 10 gigabits per second, which means virtually no latency. 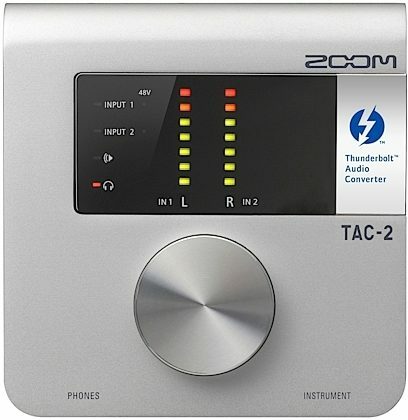 Thunderbolt interfaces such as the TAC-2 are also unaffected by computer jitter (slight variations in timing), so there's no need to connect an external master clock source. In addition, Thunderbolt carries 10 watts/18 volts of power (as compared to the 2.5 watts/5 volts carried by USB 2.0) -- enough to provide stable phantom power. 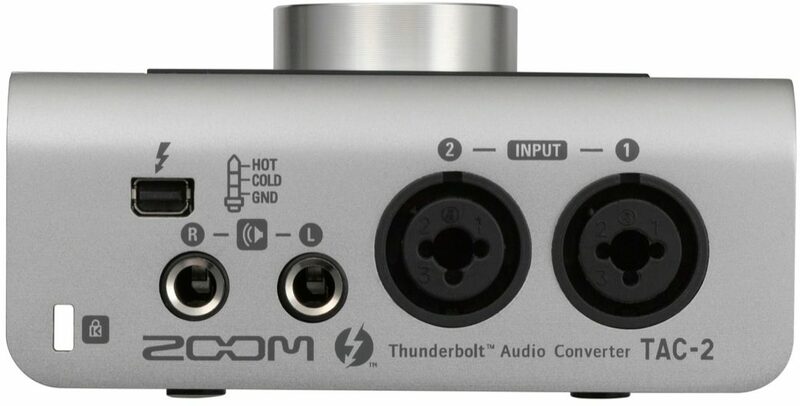 This also allows the use of high-end components such as the Burr Brown PCM4202 analog-to-digital converter and AKM AK4396 digital-to-analog converter in the TAC-2. 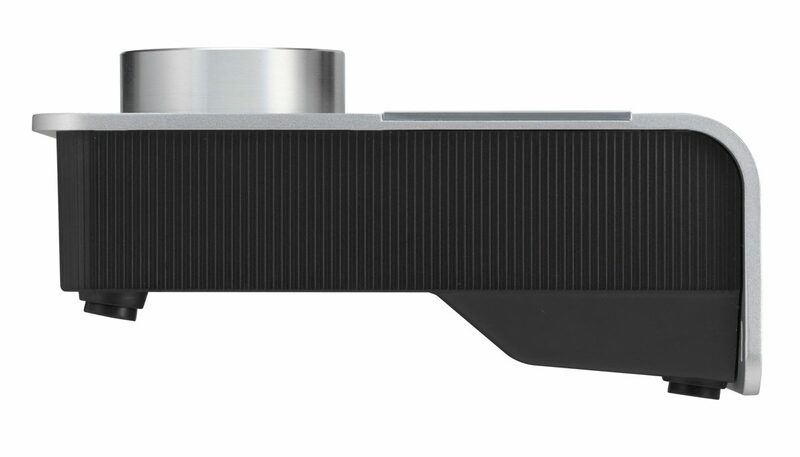 The Thunderbolt port on the rear panel carries digital signal to and from your computer as well as carrying power to the TAC-2. Two combo XLR/TRS inputs are provided for the connection of mic- and line-level signals, and there's a handy Hi-Z (high impedance) unbalanced input on the front panel for direct connection of passive electric guitars and basses using a standard 1/4" guitar cable. 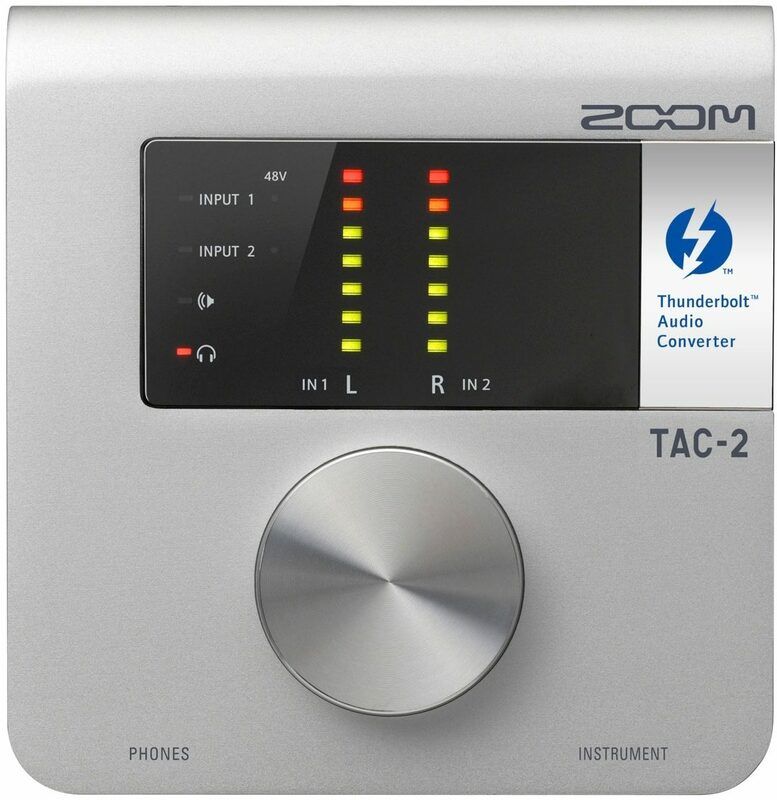 The TAC-2 also offers two balanced TRS output jacks which allow you to connect the TAC-2 to your monitors, as well as a dedicated 1/4" stereo headphone jack.